The Bureau of Labor Statistics (BLS) reported consumer prices increased broadly in June. The Consumer Price Index (CPI) rose at a seasonally adjusted annual rate of 3.9%, slower than 5.5% in May. Excluding the volatile food and energy components, the “core” CPI rose at a seasonally adjusted annual rate of 2.2% in June. 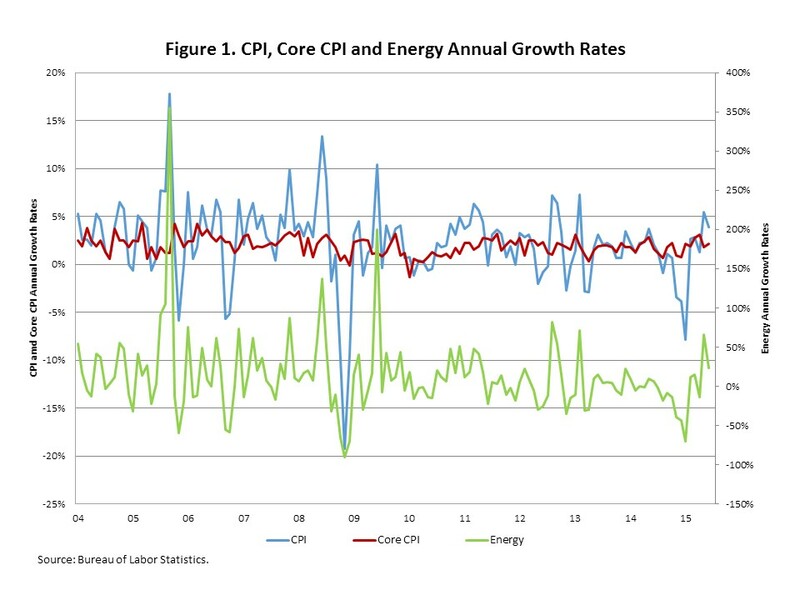 Large swings in energy prices account for most of the divergence between CPI and the core measure in recent years. Steep declines in energy prices since the middle of last year widened the gap between overall and core inflation. Sharp increases in energy prices in May sent the all items CPI and core measures in opposite directions as well. In June, energy prices rose at a seasonally adjusted annual rate of 22.9%, down from 66.2% in May. These sharp increases in energy prices have pushed headline inflation to what would ordinarily be considered alarmingly high levels but the 2.2% core inflation rate is within the Federal Reserve’s comfort zone. Despite the increase in energy prices, the moderate rate of core inflation should provide the Federal Reserve with more confidence to begin raising short-term interest rates this year. A “real” rent index can be constructed to indicate whether the inflation in rents is faster or slower than overall inflation. It provides insight into the supply and demand conditions for rental housing. 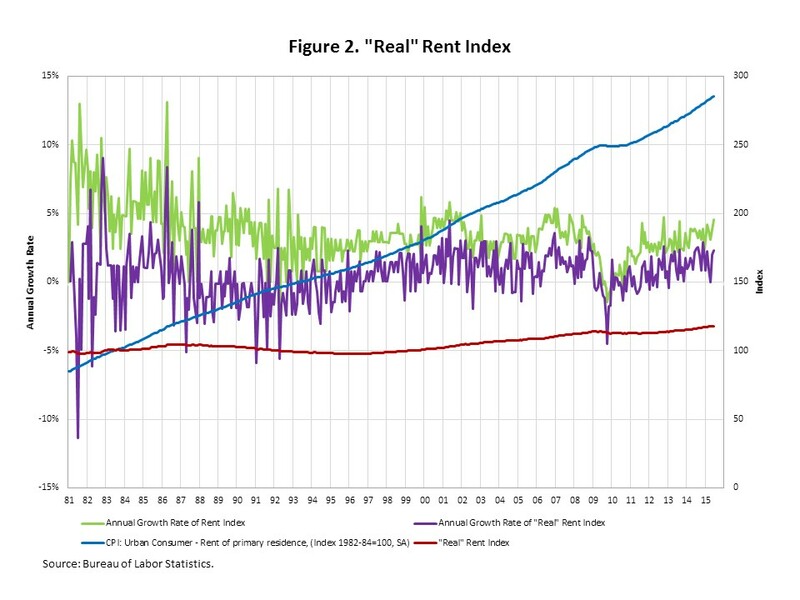 When inflation in rents is rising faster (slower) than overall inflation, the real rent index rises (declines). The real rent index is calculated by dividing the price index for rent by the core CPI (to exclude the volatile energy component). After declines during the recession, inflation in real rents accelerated from 2012 to 2014, a period of strong recovery in the multifamily sector, reaching a peak average annual rate of 1.7% in 2014. Real rent inflation has slowed in 2015, averaging 1.4% from January to June.